Blisworth Bed and Breakfasts. Compare latest rates and Live availability for all your favourite places and places you have always wanted to go using our new My Shortlist feature. Click + to add to your Shortlist. 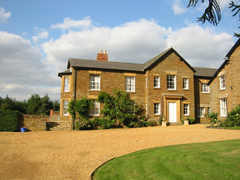 Bed and Breakfasts in Blisworth, Northamptonshire for 1 night from Sun Apr 21, 2019 to Mon Apr 22, 2019 within 10 miles, in an Average Nightly price range of £1 to £200. Close to Silverstone, the A43 and junction 15 of the M1, this relaxed and informal country inn has comfortable en suite rooms, free Wi-Fi and an excellent restaurant. Situated just outside the historic village of Blisworth, near Northampton and Towcester, the Walnut Tree Inn has 11 individually styled en suite rooms, each with its own unique character and charm. All rooms have TVs, DVD players, hairdryers and tea/coffee making facilities. A full English breakfast is included in the price. Food is available in the bar or in the restaurant and includes traditional dishes, boasting influences from all around the world. All dishes are cooked and prepared in-house and made using fresh ingredients. The inn regularly hosts live music and has a lively bar, offering a wide selection of wines, including 14 varieties available by the glass. Real ales from local breweries are on sale, as well as 2 extra guest beers at weekends. Holiday Inn Express Northampton is situated in Grange Park, just minutes from Junction 15 of the M1, and just 4 miles away from Northampton town centre. Luton Airport is a 40-minute drive away. Free WiFi and free onsite parking is available. Holiday Inn Express Northampton's guest rooms all have air conditioning and en suite facilities. A flat-screen TV and tea/coffee making facilities are also provided. A breakfast buffet is served in the dining area and includes hot items and a continental style selection. Evening meals are served in the modern lounge, where you'll also find a well-stocked bar. Additional facilities include 8 meeting rooms, fax services and equipment hire. The property is located 6 km from Northampton Castle. Attractions in the area include Northampton Cathedral, or Northamptonshire Museum and Art Gallery, both set within 6 miles of the property. Silverstone Circuit racecourse is 14 miles from the hotel. Just 10 minutes' drive from Northampton centre, the contemporary Campanile Hotel offers free parking, modern en suite bedrooms and state-of-the-art conference rooms. Wi-Fi is available. All of the bright and airy bedrooms feature satellite TV, tea and coffee making facilities and air conditioning. The Campanile also offers a 24-hour reception. The on-site restaurant and bar serves a selection of dishes and beverages and the Ã la carte menu serves ever popular seasonal specials. The Campanile Hotel Northampton is located next to junction 15 on the M1, just 3.5 miles from Northampton station. Silverstone Circuit is 25 minutes away, and Milton Keynes is just a 20-minute drive. Situated in Towcester, The Old Chapel Boutique B&B provides accommodation with free WiFi and access to a garden with a barbecue. All units come with a seating area, a flat-screen TV and a private bathroom with free toiletries and shower. A fridge and kettle are also featured. A continental breakfast can be enjoyed at the property. The bed and breakfast offers a terrace. Silverstone is 17 km from The Old Chapel Boutique B&B. London Luton Airport is 60 km away. Our Northampton Wootton hotel is the right spot for nature lovers with stunning countryside to explore nearby. The Collingtree Park Golf Club is also across the road for those wanting to hit the greens. For culture vultures there are a number of museums within a 4 miles radius while the historic Althorp House and Estate is less than 15 minutes by car. Other nearby sites include racecourses theatres and of course Silverstone racing circuit. All rooms feature a comfy king size bed with four plump pillows and a cosy duvet. Guests can enjoy a wide variety of food and drink choices within easy walking distance from this hotel. Early/Late Check-In/Out Service if you re looking to make the most of your day we can offer an Early Check-In service from 12:00noon and a Late Check-Out Service until 2pm so you have more time to relax - cost is �10 per service per room subject to availability - bookable direct by telephoning the hotel. We are a pet friendly hotel and allow up to 2 domestic pets per stay. This is at an additional charge of �20 per pet per stay. Please contact LateRooms to arrange this to be added to your booking and for further details on charges and terms and conditions. Please note that Guide dogs Hearing dogs and other animals to aid disability are exempt from charge. This 400 year-old inn featured in The Pickwick Papers by Charles Dickens. It features a historic bar and restaurant, and classic rooms with leather headboards. Silverstone is just 10 minutes' drive away. Traditionally furnished, the rooms at The Saracens Head include a private bathroom and TV. Rooms also include free Wi-Fi, as well as tea and coffee-making facilities and a hairdryer. On a Roman street, the Saracen's Head is just 5 minutes' walk from Towcester Racecourse. Stoke Bruerne, a canal-side village with cottages and narrow boats is a 10-minute drive away. The Saracens Head serves food all day in the lounge and bar areas, from traditional steak or fish and chips, to more modern choices. The split-level lounge bar has welcomed locals and guests to Towcester for hundreds of years, with 3 distinct areas in which to relax and enjoy delicious snacks. CHARMING COUNTRY HOUSE OFFERS EXCELLENT BED AND BREAKFAST All en suite rooms Delicious breakfast to suit all tastes. Quality accommodation with a warm and friendly atmosphere. Wifi and safe parking. Double and Twin 㿞 per person per night. Ideally located in the East Midlands, this modern, non-smoking hotel in Northampton is just off junction 15 of the M1, and close to the A45. It offers a range of modern facilities in its guest rooms, conference rooms, and the restaurant, bar and lobby. Guests can unwind in the Leisure Club, complete with a sauna, steam room, well-equipped fitness centre, and indoor pool. The Northampton Marriott boasts a heli pad and acres of land. Cast Iron Bar & Grill offers a menu inspired by a variety of traditional classic cuts of meat and chops, complimented with a focused wine list and ales. Food is prepared using local and seasonal produce. To complement its location, Northampton Marriott has extensive conference and training facilities, including a 220-seat conference suite, contemporary boardrooms and a dedicated business centre. Guests get free Wi-Fi in the public areas. Local attractions include the Northampton Museum and Art Gallery, 2 miles away, Delapre Golf Club, 0.5 mile away and Sixfields Stadium, 4.1 miles away. Silverstone International Circuit is 15 miles away. Originally built as a coaching inn in the 1890's, the Plough Hotel offers Freeview TV and sports channels plus free WiFi in its bar area.The hotel includes free car parking for residents A complimentary full breakfast is included in all rates. The Plough Hotel is located 11 minutes' walk to the town centre, 10 minutes' walk from the main shopping and commercial areas, the Royal and Derngate theatre and Northampton Rugby's Franklins Gardens. Silverstone Race Circuit, Rockingham Motor Speedway, Santa Pod Raceway, Billing Aquadrome Althorp House and Stoke Bruerne Canal Museum are within less than 1 hours drive from the property. The Plough Hotel has been welcoming visitors for well over a hundred years and continues to extend its warm and friendly greeting to this day. Originally built as a coaching inn in the 1890 s the hotel now offers today s levels of comfort and hospitality including freeview TV and Sports channels plus free wifi in its bar area. The hotel has ample free car parking for residents and unlike many hotels a complimentary full breakfast is included in all rates. We are conveniently located close to the town centre a few minutes walk from the main shopping and commercial areas the Royal and Derngate theatre and Northampton Rugby s Franklins Gardens. Silverstone Race Circuit Rockingham Motor Speedway Santa Pod Raceway Billing Aquadrome Althorp House and Stoke Bruerne Canal Museum are within easy driving distance. Ibis Northampton Centre is conveniently located in Northampton Town Centre, just five minutes' walk from the train station, and less than 10 miles from the M1 motorway. The hotel offers 151 comfortably appointed rooms with en suite bathrooms, flat-screen TVs, and high-speed internet access. The hot buffet breakfast is served from 6:30 â€“ 10:00 daily, and the cafÃ© bar serves hot meals 24 hours a day. Located in the â€˜Sol Central' complex, the hotel is in the heart of the town with a cinema, gym and restaurants nearby. Guests can work out or relax in the health club above the hotel for just GBP 5 per person. Sol Central also offers secure parking with direct access to the hotel for an additional fee. Conveniently located for both guests visiting the busy city centre and those attending sporting events our hotel is only a mile from the city centre and guests are within walking distance of various facilities and attractions such as the Grovesnor Shopping Centre which is the perfect place to enjoy a spot of retail therapy. Our hotel is close to a variety of top sporting venues such as Saints Rugby Ground and Collingtree Park Golf Club which are both under 10 miles away whilst Towcester Racecourse Silverstone Racing Circuit and Santa Pod Raceway offer great days out for those who love live in the fast lane all within 15 miles. All rooms feature a comfy king size bed with four plump pillows and a cosy duvet. Guests can enjoy a wide variety of food and drink choices within a short distance of the hotel. Early/Late Check-In/Out Service if you re looking to make the most of your day we can offer an Early Check-In service from 12:00noon and a Late Check-Out Service until 2pm so you have more time to relax - cost is �10 per service per room subject to availability - bookable direct by telephoning the hotel. We are a pet friendly hotel and allow up to 2 domestic pets per stay. This is at an additional charge of �20 per pet per stay. Please contact LateRooms to arrange this to be added to your booking and for further details on charges and terms and conditions. Please note that Guide dogs Hearing dogs and other animals to aid disability are exempt from charge. The Park Inn by Radisson Northampton offers the town s only full-service hotel experience. Our convenient location which is 200 meters from the town centre and less than 1 kilometre from public transport provides you with easy access to Northampton s top sites. Park Inn by Radisson Northampton is convenient for Silverstone racing circuit or Towcester racecourse and visiting Althorp House. Our 146 modern rooms include conveniences like coffee provisions and flat-screen LCD televisions. Renovations in the Buckingham Suite and 32 Superior bedrooms offer immaculate like-new accommodation. Enjoy delicious favorites like steaks and burgers in the casual atmosphere of RBG Bar & Grill. We have everything an event planner needs for any occasion. Choose from our 12 chic meeting spaces suitable for 6 to 600 guests. There is Free Wireless High-speed Internet throughout the hotel. Car parking is available to guests and delegates (fees may apply). Our �1 million refurbishment project is now complete. Enjoy our fresh new Buckingham Suite as well as 32 fully refurbished superior bedrooms. With a riverside setting, the friendly Holiday Inn Northampton is free for the under 12s. It has free parking, a brasserie, a bar and a mini-gym. The rooms are comfortable and nicely decorated and feature both a bath and a shower. Tea/coffee making facilities are at the guests' disposition and there is a work desk in every room. A good breakfast is served everyday from 06:30 until 10:00 at the Holiday Inn Northampton. The brasserie serves a selection of pastas, salads and curries and the lounge bar is an ideal place to relax. The hotel is just 2 miles from the centre of Northampton and only 5 miles from the M1 motorway. The hotel is within a short drive of the area's many business parks while Woburn Safari Park and Silverstone are reachable within 30 minutes. Children under 12 years of age can stay and eat for free when accompanied by a paying adult. The Hopping Hare building dates back to 1902 and was originally a manor house. Fully refurbished in 2005 we added a further 10 rooms in 2010. The Hopping Hare is in a quiet residential area on the A428 two miles from the centre of Northampton and two miles from Northampton train station. Rooms are decorated to a high standard and feature double beds en suite shower room tea- and coffee-making facilities LCD TV with Freeview and hairdryer. All our 20 rooms are non-smoking. Jumpstart your day with the full English breakfast provided each morning. We have free hotel-wide Wi-Fi connection free on-site car parking and an outside decking area. We also feature a stylish and contemporary restaurant serving freshly prepared home cooked food. The restaurant can be busy so booking is always recommended. After a busy day you can unwind with drinks at the bar. Nearby attractions include Althorp House (four miles away) Holdenby House and Gardens (six miles away) Coton Manor Gardens (nine miles away) and some wonderful countryside. For recreation you can tee off at Northampton Golf Club watch races at Silverstone Racing Circuit or take in performances at Royal & Derngate Theatre. A 5-minute drive from the centre of Northampton Oscar Lodge offers accommodation with free WiFi and a garden and terrace. Free public parking is available nearby. Each room has a flat-screen TV and tea and coffee facilities. There is also an en suite or private bathroom. Guests can also make use of a shared lounge. Northampton s Royal & Derngate entertainment venue and Vue Cinema are around 5 minutes drive away. Kettering Milton Keynes and Towcester Racecourse are all within a 20-30 minute drive and Rugby is 35-40 minutes away. Silverstone is also aprox 25minute drive away. A 5-minute drive from the centre of Northampton, Oscar Lodge offers accommodation with free WiFi and a garden and terrace. Free public parking is available nearby. Each room has a flat-screen TV and tea and coffee facilities. There is also an en suite or private bathroom. Guests can also make use of a shared lounge and games room. Northampton's Royal & Derngate entertainment venue and Vue Cinema are around 5 minutes' drive away. Kettering, Milton Keynes and Towcester Racecourse are all within a 20-30 minute drive, and Rugby is 35-40 minutes away. Just 2.5 miles from the M1, the Holiday Inn Northampton West is set in attractive gardens in the village of Flore. The hotel offers a modern fitness centre, a restaurant, bar and free parking on site. The Holiday Inn Northampton has spacious rooms with satellite TV and pay movies. Each room also has a private bathroom with a power shower and hairdryer. The hotel's Conservatory Restaurant offers traditional meals and a full English breakfast. When accompanied by an adult, children eat for free. The bar has a large TV and offers a snack menu. This Holiday Inn is just 10 minutes' drive from Daventry town centre and 15 minutes from Northampton. The Silverstone Grand Prix Circuit is just 12 miles away. In rural Northamptonshire, the Narrowboat at Weedon overlooks the peaceful Grand Union Canal. It offers boutique-style rooms with free Wi-Fi, an AA Rosette awarding-winning restaurant using fresh local produce, and a relaxed bar and terrace. Bright, modern rooms each have a flat-screen TV and a sleek tiled bathroom with toiletries, with some rooms placed next to the canal. Free tea and coffee and a work area is also featured in every room. The Narrowboat's varied restaurant menu includes home-made pizza and local market fish, and can be enjoyed out on the terrace by the canal. Silverstone race track, historic Althorp House and Northampton town centre are all less than 20 minutes' drive away. The Narrowboat has free parking, and is 5 minutes' drive from the M1 motorway. Kendal House is an 18th century coaching inn, now converted into a large family home. The house is set in the centre of the picturesque village of Blakesley which is approximately 5 miles away from silverstone racetrack and 6 miles from Towcester. The Narrow Boat at Weedon - a superb canal side country pub providing a great dining venue and comfortable en suite canal side rooms. The restaurant been awarded two AA Rosettes in recognition of culinary excellence. Food is freshly prepared by our award nominated chef and sourced from local suppliers where possible. Food and drinks can be served to you in the bar restaurant heated deck areas or beside the canal on the lawns. Have a look at our inspiring menus canal side accommodation regular events business and leisure facilities. We also have function rooms ideal for weddings celebrations and parties! We offer seven tastefully furnished rooms that come with Freeview LCD TV and tea/coffee facilities. Jumpstart your day with by enjoying the delicious full cooked English breakfast served each morning. (Extra charge applies) Free Wi-Fi in all areas and free parking are provided for your added convenience. The Narrow Boat at Weedon is situated right on the Grand Union Canal and the A5. We are conveniently close to places of interest sporting and leisure venues including Silverstone motor racing circuit the Althorp Estate and Stoke Bruerne waterways museum and canal. Only one hour from London just a 30 minute journey from the city of Central Milton Keynes and 15 minutes west from the historic town of Northampton this is an ideal base for business leisure or just enjoying one of Northamptonshire s best country pub and dining venue with rooms. You can also book small or large party celebrations in one of our special meeting rooms. Our AA rosette award winning chef cooks up exciting dishes for every taste from freshly made stone baked pizzas and in-house freshly made burgers to fillet steak with pressed ox-tail. Whatever the reason for your visit a warm friendly welcome is offered to all by Karen and Richard Bray and their family. Easily accessible from the A43, A45 and M1, this traditional hotel set in private grounds is only 3 miles from Northampton town centre. Silverstone is 18 miles away and Santa Pod Raceway is 30 minutes' drive away. The Billing Aquadrome leisure park is within a 10-minute drive of Westone. The hotel is less than 5 miles from major business parks, including Brackmills, Moulton Park, Swan Valley and Great Park. A continental or cooked breakfast can be enjoyed in the light and airy dining room, whilst Sky channels are shown each evening on the TV in the bar. Westone Manor Hotel has comfortable rooms, located in either the main building or the annexe. The en suite rooms have a flat-screen TV with Freeview channels. Offering free WiFi and garden views, Potterspury House is an accommodation set in Potterspury. The country house has access to a restaurant. The country house comes with a satellite flat-screen TV. Continental and Full English/Irish breakfast options are available every morning at the country house. Guests can relax in the garden at the property. Milton Keynes is 11 km from Potterspury House, while Northampton is 23 km away. London Luton Airport is 52 km from the property. Providing a terrace and free WiFi, The Cowshed Bed And Breakfast offers accommodation in Wappenham. There is a fully equipped private bathroom with bath and a hair dryer. The bed and breakfast offers a continental or vegetarian breakfast. Milton Keynes is 28 km from The Cowshed Bed And Breakfast, while Northampton is 23 km away. London Luton Airport is 69 km from the property. Our hotel is great for checking out nearby Northampton town centre teeing off at the golf course or visiting one of the many local companies at Moulton Park. A short car journey will have you enjoying the thrills of Silverstone racing circuit taking in culture at the Royal and Derngate Theatre or visiting friends and family at Northampton University. This hotel has upgraded rooms that feature a comfy king size bed with four plump pillows and a cosy duvet. Guests can enjoy a wide variety of food and drink choices within a short car journey from the hotel. Useful information This hotel is unable to provide wheelchair access please contact the hotel if you require further information. Early/Late Check-In/Out Service if you re looking to make the most of your day we can offer an Early Check-In service from 12:00noon and a Late Check-Out Service until 2pm so you have more time to relax - cost is �10 per service per room subject to availability - bookable direct by telephoning the hotel. We are a pet friendly hotel and allow up to 2 domestic pets per stay. This is at an additional charge of �20 per pet per stay. Please contact LateRooms to arrange this to be added to your booking and for further details on charges and terms and conditions. Please note that Guide dogs Hearing dogs and other animals to aid disability are exempt from charge. Lovely refurbished, private, ground floor,parking,country views.Sitting/dining/double bed & double bed settee.TV,mini fridge,iron & board ensuite,underfloor heating.